There has been a lot of talk in the past year about cyber risks and cyber liability; high-profile cases of data breaches, what can be done to avoid cyber attacks, recover from them, etc. However, while cyber liability continues to be an important aspect of risk management for your clients as well as your insurance agency, it’s imperative that you realize that any type of downtime can be detrimental. In fact, according to a report from PropertyCasualty360, small businesses (including agencies) can lose $3,000 a day and larger companies can lose up to $10,000 daily when a catastrophe hits such as a storm, fire, or theft. John Roe, CEO of City Underwriting Agency, states that, “Our job as agents is to protect the assets of our customers.” So how can this be done if business is interrupted by a catastrophe or disaster of some kind? Experts recommend taking advantage of Cloud Technology, which deploys groups of remote servers and software allowing for data storage and online access at remote locations rather than just at the office. With cloud technology, insurance agents and brokers can retrieve data and return customer calls, emails, and social media posts as well as provide clients with 24/7 access to policy and claims information. For one insurance agency, cloud technology was truly a business lifesaver when they lost power for four days due to Hurricane Sandy. Thanks to cloud computing, they were able to reach every single client they had during that time. 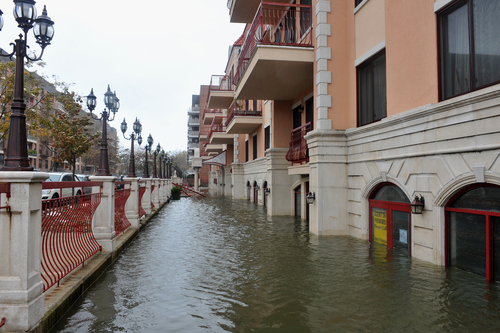 During a disaster such as Hurricane Sandy, client communication is critical. This is especially true for insurance agencies. Cloud technology allows for this communication and also gives agencies a competitive advantage, as they will be able to assure their clients can have a peace of mind knowing that they will still be able to access their policy details if a big disaster hits. PLRisk Advisors is a leading wholesale insurance brokerage covering the professional liability market. Our team of seasoned professionals has the depth and breadth of knowledge to help our agency partners secure the best quality coverage for their clients. Please contact us today to learn more about our products and services at (855) 403-5982.